Your investigation firm just concluded a successful case where you conducted hours of surveillance and searched through countless records to find out exactly what the client needed to know. Youre feeling great about the successful job - until you discover that the client has initiated a chargeback on the credit card they used to pay you. You groan as you consider the hassles you are about to endure dealing with the client, the clients bank and your merchant processing company. Private investigators occasionally face this frustrating issue and it has caused many to stop accepting credit card payment altogether. But it doesnt have to be this way. A combination of preparation, high-quality customer service and solid business practices can prevent chargebacks, as well explain. Why would a client initiate a chargeback? The reasons that a client might initiate a chargeback vary, but they can include dissatisfaction with services, confusion over billing, or even that the person wants something for nothing. For the purposes of this article, we will focus on preventing chargebacks from clients resulting from billing confusion or a dispute over services rendered by a private investigator. How can I prevent a chargeback? Here is a list of 10 preventative measures and resolution tactics you can use to reduce your chances of dealing with a credit card chargeback. Clearly explain your billing and refund policies to clients and if possible have them sign a written copy to prove that they read and understand them. Give clients a detailed written description of the services you will be providing. If possible, have them sign a copy of this outlined plan. Make sure the business name on the credit card billing statement matches your firm's name (or at least let the client know which name will appear if its different than your firm's name). People become highly suspicious when they see an unknown charge on their card and may respond with a chargeback. Include a phone number on the statement so clients can contact you in the event of confusion or disputes. Keep clients fully updated on the status of their investigation so they dont consider a chargeback because they dont know if their job is being handled. If your investigation on the client's behalf will be delayed, let them know promptly so they don't try to have their money returned through a chargeback. When choosing a merchant processing company or bank, research them thoroughly to compare chargeback resolution measures. Some merchant processing companies side firmly with consumers while giving little recourse to merchants or service-providers, so you should find a company that protects your rights and lets you fairly fight chargebacks. Keep careful records of your entire interaction with each client. Hold on to notes about telephone conversations, records of e-mail conversations, receipts, contracts, copies of credit cards and more. The more information you can offer as proof in the event of a chargeback, the better. Work with clients to resolve disputes before they resort to a chargeback. You may deal occasionally with a client who rebukes all attempts to resolve the situation, but often a healthy dose of reasoning and customer service can save the day. If the client's bank issues a retrieval request, which is where they ask for proof that you delivered the promised services, respond as quickly as possible. The sooner you offer proof, the less chance of a chargeback. Last but not least is a tip that you likely practice every day but is nonetheless important to preventing chargebacks: provide high-quality investigative services. Good old-fashioned hard work that produces the desired results is an effective way to keep clients from even considering a chargeback. 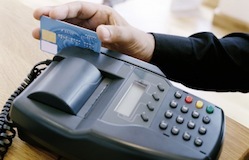 Do you accept credit cards and have some preferred methods of preventing chargebacks or dealing with them? You can join in the discussion about accepting credit cards in the PInow.com Yahoo! Group.